It has been two weeks since I announced that I’ve penned a book inspired by my blog and that it will be released on September 3. And, the responses, comments and emails of support have been overwhelming and much-needed. I’m really good at brainstorming for worst-case scenarios. 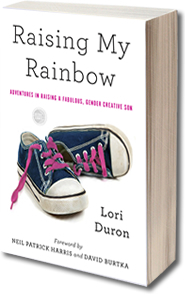 I don’t even want to tell you the various things I imagined would happen after I came out as the author Lori Duron – mostly I don’t want to tell you because I’m afraid that the scenarios could still come true. I certainly wasn’t expecting to feel so much love. Sure I felt some hate, but I’ve gotten really good at ignoring it. I also heard from the people who continue to believe that my blog and family are a work of fiction. That, to me, is laughable. I wish I had time to dream up fiction! I could do that instead of making three square-ish meals a day, doing laundry, working full-time or shuttling kids to-and-fro and back again. Fiction must be fun! If this were all a game, it would be a very tedious one to play – and I don’t have time for games other than Candyland, Sight Word Bingo and “Mom, can you find my sock/shoe/homework/iPad/manners”. Wish I did; but I don’t. So, thanks to all of you who wrote to me and to those of you who found a way on your own to pre-order my book. I want you, my readers, to be the first to know about two other important supporters of mine, because you are in very cool company. I have received support from David Burtka and Neil Patrick Harris – who have done me the enormous honor of writing the foreword for my book. I still can’t believe it’s true. I think that David and Neil, as parents and members of the LGBTQ community, are the perfect people to introduce my book and our family to readers and the world. When you read their foreword, you’ll get a sense of them as the awesome parents I’ve seen them to be and you’ll learn a thing or two about the always captivating Harper and Gideon. It’s a rare opportunity for readers to get a glimpse into the lives of this new nuclear family. I’m beyond honored that David and Neil see the importance of this book for kids, parents, educators and the LGBTQ community. C.J. doesn’t know David and Neil as celebrities; he knows them only as Harper and Gideon’s dads — the ones who don’t care how gender creative he chooses to be in their presence. He sees the four of them and sees a family; a fun, normal family that has two dads who cook their own pizzas and sometimes randomly break out in song and dance. He can be perfectly pink in their rainbow presence. That’s all that matters to him. I see David and Neil as a gracious couple that I will forever be indebted to. When two guys have everything how do you thank them for doing a favor as massive as introducing you and your book to the world? If you have any ideas, let me know. Although my book’s pre-order pages are not totally complete aesthetically, they work functionally and you can now pre-order Raising My Rainbow: Adventures in Raising A Fabulous, Gender Creative Son (Foreword by Neil Patrick Harris and David Burtka). This entry was posted in All Posts, Main Site Header and tagged David Burtka, gender creative, gender nonconforming, LGBTQ, Neil Patrick Harris, Raising My Rainbow. Bookmark the permalink. Ask CJ to make their present. Tell him it’s for David and Neil to say thank you and see what he comes up with for them. Knowing CJ, he’ll surprise you with his talent, and the best gifts are always homemade. It will mean so much more to them knowing it was handmade for them by an incredible young person CJ. Wow, that is wonderful news. I’m so glad that they’re giving us a gift as great as the one you’ve been giving us. Kudos to Neil, David and you…and your whole family. After I was finished squealing with glee over this, I understood what this truly means. Do you know what this means? It means that it’s not inconceivable that CJ could find himself at “the night where everyone dresses fancy” in the future. After I read that, I decided that CJ absolutely needs to be at the Oscars at least once. I’m really happy this has come together so well for you. I am always amazed by the hate-mail I hear about others receiving in these circumstances but I’m glad to hear you’ve found a way to cope with it. I look forward to reading the book once it comes out. Awesome!! Neil used to live, maybe still does own an apartment, in the same building my brother and his partner used to live in in NYC 🙂 Small world. Love him, love you, very excited to read and share your book. It fills me with joy every time I come on your blog. Thank you, from the bottom of my heart. Congratulations, though as someone said earlier, they are not doing you a favour so much as supporting your talent and efforts as a mom and a writer. It sounds to me like they view themselves as a couple of dads first and foremost so helping their friend, who is a mom, is probably as natural to them as picking up your kids at school. It’s what we parents do for our friends – whatever we can to make their lives better. I love the idea of having C.J. draw something, or as someone else stated, just thank them with the genuineness that you write with…. Congratulations for the well deserved recognition of the contribution you make to the world, C.J.’s and well beyond! So awesome. Looking forward to your book! I didn’t know you were such a celebrity! What a wonderful gift you have given us all–writing from your heart!! I’ve been reading your blog for about a year now. I’m not a parent or LGBT or anything, I just really want to support people who are, people who want to live their lives the way they choose without being confined by anything except love. I love your blog; it’s so honest, so real, and so touching, and I’m really, really happy for you publishing a book and having so much success so far (Neil and David? Squeee!). I’m looking forward to your reading a book and I hope when you’re famous and successful you still keep writing! Congratulations, Lori! This is swell-deserved honor. i can hardly wait to read your book and share it with other people I know. You are an amazing woman and mother! Neil is awesome! I love his Youtube channel 🙂 How exciting that they wrote the foreward in your book! How do you know them, incidently? Do they live up the street or did you approach them to do this? YAY! I think that acceptance of another is the biggest thank you anyone can give. Rock on girl. Even if they don’t use it, it’s not a waste of money! Good luck! From one POV it is “a huge favor” they have done for you. And from another POV it really is not. You are fully worthy of their appreciation and if any indebtedness is involved, they share it – they have the honor and gift of getting to write the intro for you! You’re given them the opportunity to share in the creation and promotion of your baby. That’s a pretty big thing! 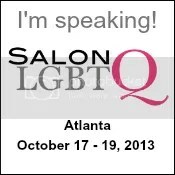 You are in the limelight with them, all furthering a good cause for kids and for gender creativity. An autographed copy of the book would be an appropriate gift since it is what they are helping you create. Another idea: invite them to lunch (nothing fancy) and sit them down and tell them every single thought and feeling you have about their intro, what an amazing gift it is, how it helps you – in every aspect and detail. Really really tell them. That’s it. You will rock their world. Rarely anywhere in our world does anyone do this, ever. It’s surprising how rare it is. Don’t rehearse. Tell them, then when you think of something else, tell them that. Repeat until the well runs dry. If you need to you can warn them that you want to monopolize the conversation for this lunch, but just go on and on. Follow every thread and really get it all out. Thank them by thanking them. Gush. You can tell them how famous and glamorous they are, how totally much their celebrity will help you with the book, and how you can never ever thank them enough. Of course, you’ve already written a tale of your thanks and indebtedness on your blog, which is a way to thank them. Wow! That is so completely amazing and wonderful. I am a big fan of Neil Patrick Harris and he just gets better and better. Don’t ever believe that the hate you have revived is indicative of the majority in this world. To be honest the vast majority don’t care, a very confused and limited number have issues. To many though we just wanted you as our mom. Sounds weirdo I know but if you have grown up with confusion about your perceived gender you,as a parent, are nothing short of a saint. Sounds overstated, overblown ? Don’t believe it …. Thank you thank you thank you for writing what you do and being who you are. Dear Lori, I have been seeing your blog as a movie or TV series since you first started writing. I am so thrilled that you have broken through to the A-List of Hollywood so quickly. I’ve said this is a story about you as a Mom, because your struggles have a Universal quality to them, even if Princesses and Monster High are the glimmering surface. I swear to you right now that there are actresses all across Hollywood who are calling their agents to fight for the chance to portray you. And if they aren’t, they soon will be…and one more thing: demand good hair and makeup people when you start the talk show circuit. There’s no reason to not look perfect when you premiere on ELLEN! Big Hugs!!! Congrats, Lori! Excited to promote at our Long Beach chapter’s meetings! How wonderful! I can’t wait to read your book. This rocks socks. I just started following your blog, but fell in love with your honesty, enthusiasm and determination, immediately! I look forward to your book and enjoying your blog and your wonderful family! Neil and David? This is sooo awesome! That is amazingly awesome! Congratulations. I can’t wait to read this book. God’s continued blessings upon each and every one of you. WOW! This just keeps getting more exciting. So thrilled for you and your family and looking forward to reading. You are so brave! Will you have print copies as well as the electronic versions? How exciting for you and CJ to help other families by just being you. And a very powerful life lesson! That is so exciting…I cannot wait for the book and am planning on buying several copies as gifts for my loved one! OMGosh!!!!!!! That is so fabulous! Congrats!!!! I hope C.J. can meet/play with Harper and Gideon and you get to be BFFs with such a wonderful pair! I live in the UK, and I’d love to be able to read your book on the Kobo (or, second choice, Kindle). Here’s hoping you make it there soon! You’ll always be C.J.’s mom to me.. regardless of your real name… there is a comfort to that moniker. I have enjoyed reading your blog and hope it will continue. Kudos to David and Neil for their courage, encouragement and for the great job they are doing in helping you and others. SQUEEEEEEEEEEEEEEEEEEEEEEEEEEEEEEEEEEEEEEE NEIL AND DAVID!!!!!! This just proves how amazing you are. I cannot WAIT to buy your book! 🙂 🙂 Love from Texas!